Are stem cells about to change the way we think about in anti-ageing creams? In America and Europe, stem cells are being hailed as a revolution in anti-ageing. It all started when stem cells were used in medical procedures and transferred out of the body, put through a centrifuge-like process and injected back into the same body to heal joint problems such asarthritis.Patients discovered an added benefit – their skin looked smoother, less wrinkled and within days their family and friends said they looked younger. Sydney cosmetic doctor and stem cell clinicianRalph Bright has been using stem cells to successfully treat a range of medical issues, but says anti-ageing is relatively new. “I’ll never forget the woman whose knee was injected with stem cells to repair it, and came backtwo months later saying her skin on her face was smoother and more elastic. We hadn’t touched her face,” he says. The benefits of stem cells to relieve joint pain for men and women have been around for many years, but their cosmetic use is relatively new, and their derivatives are now being put into a new generation of face creams, the first of which is available in Australia. US cosmetic company Jeunesse has released Luminesce, a range of creams and serums containing cytokines, the stem-cell derived messengers (or growth factors) that communicate between stem cells within the human body. They are found in and around stem cells. “It is important to understand these stem cells and their receptors are extracted from the fat cells of grown adults. Human adult fat cells are packed with stem cells,” Dr Giampapa stresses. 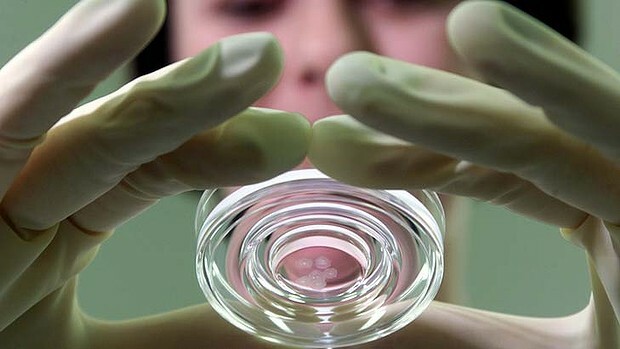 In the meantime it’s clear this is just the beginning in terms of stem cell products and technology. “There is a lot of research going on in this field at the moment worldwide,” says Dr Bezic.